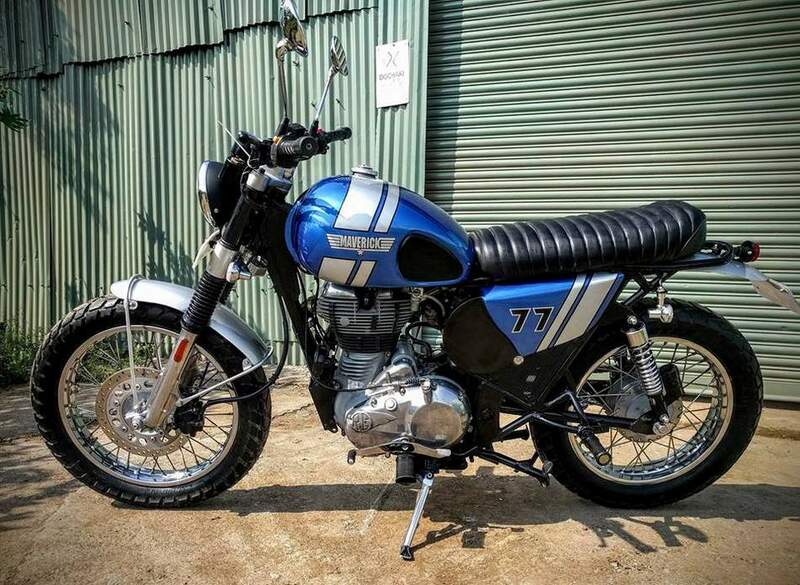 Royal Enfield Classic 350 is a great motorcycle but Dochaki Designs, a custom bike maker from Pune, were not satisfied with its stock look. 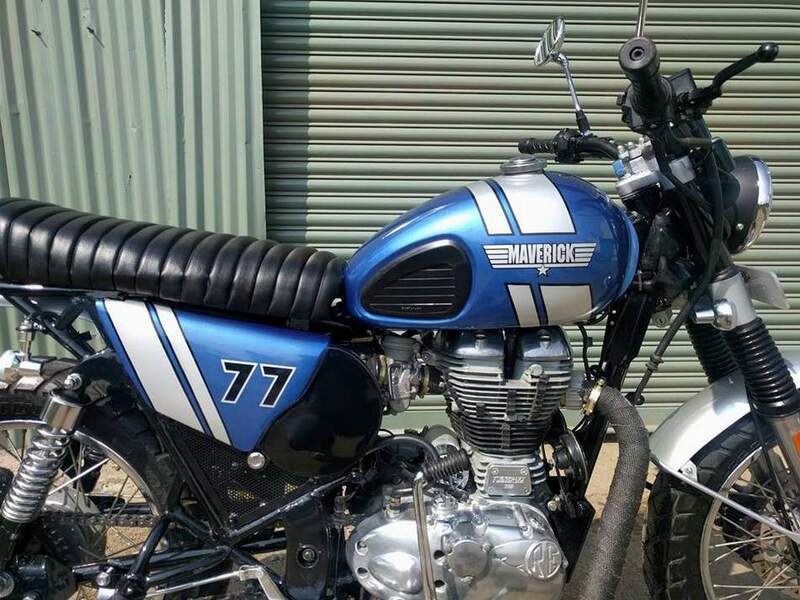 They decided to give it a makeover and redefined its inner Scrambler, renaming it ‘Maverick’ after the job was done. 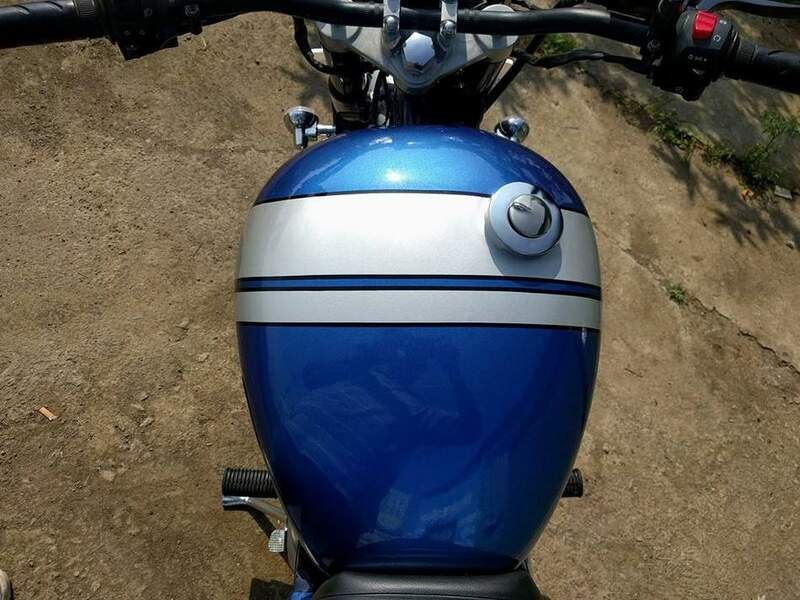 It took them two months to complete this job, which even got its actual owner impressed at the first sight. 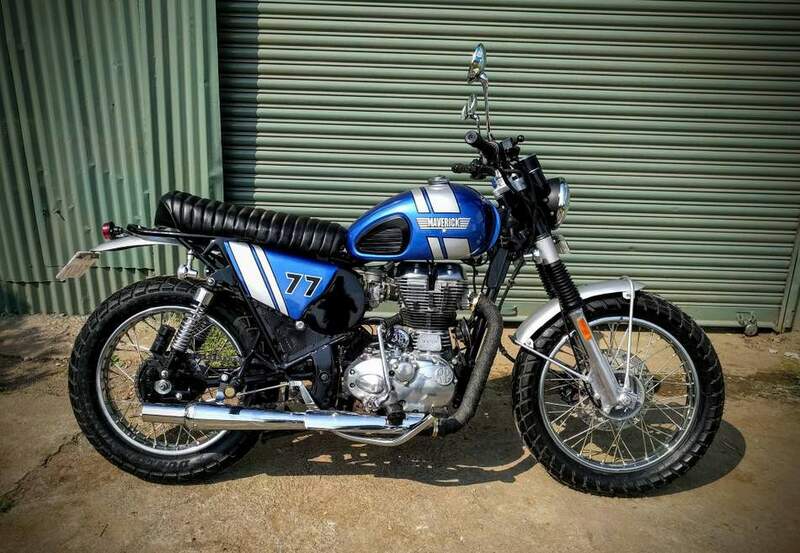 The owner was confused about what he actually wanted on the bike but after the completion, he even admitted that nothing would have been better than Maverick. 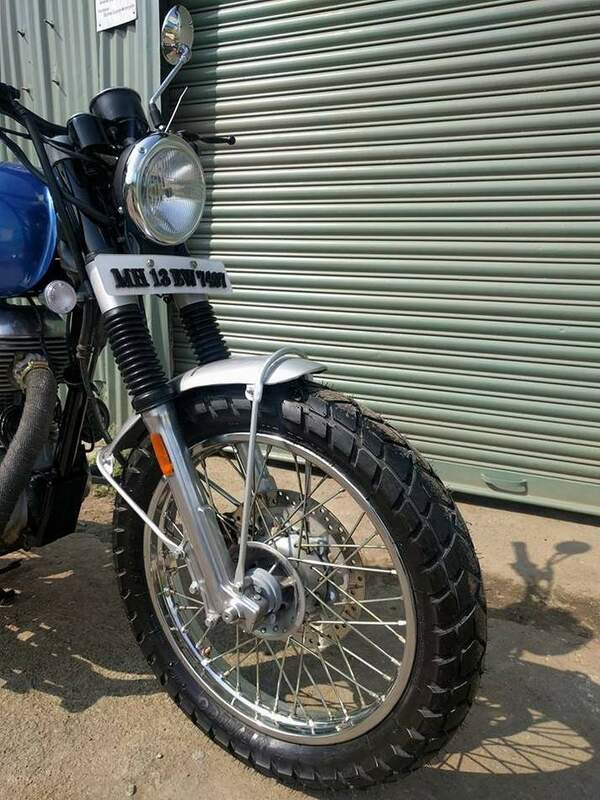 Dochaki Designs first fitted a custom swingarm, capable of handling bigger and wider rear tyres to the bike. 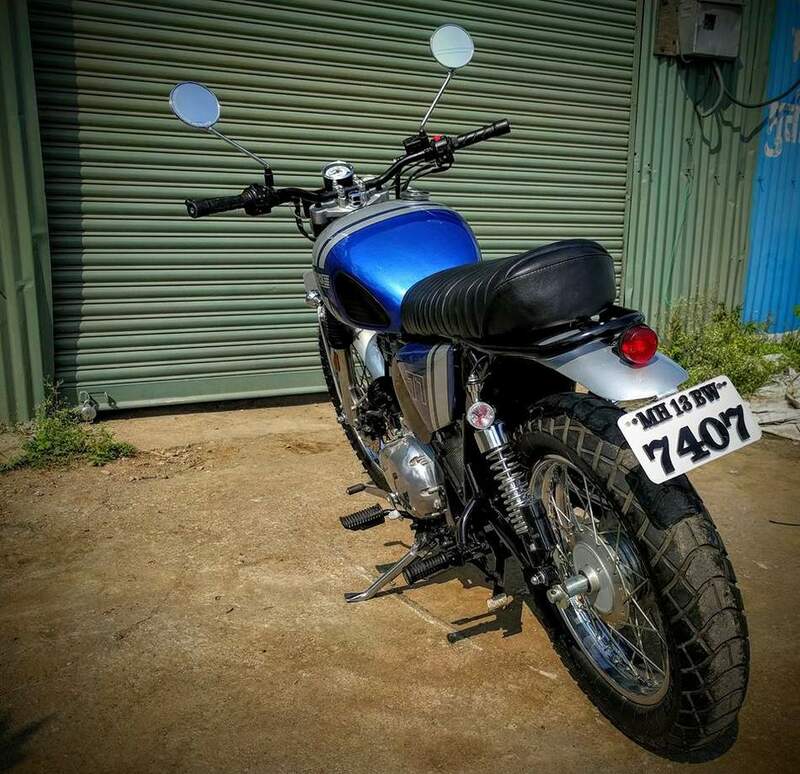 The main frame has been adjusted to provide better ground clearance, all new rear shock mounts and shorter seat at the top. 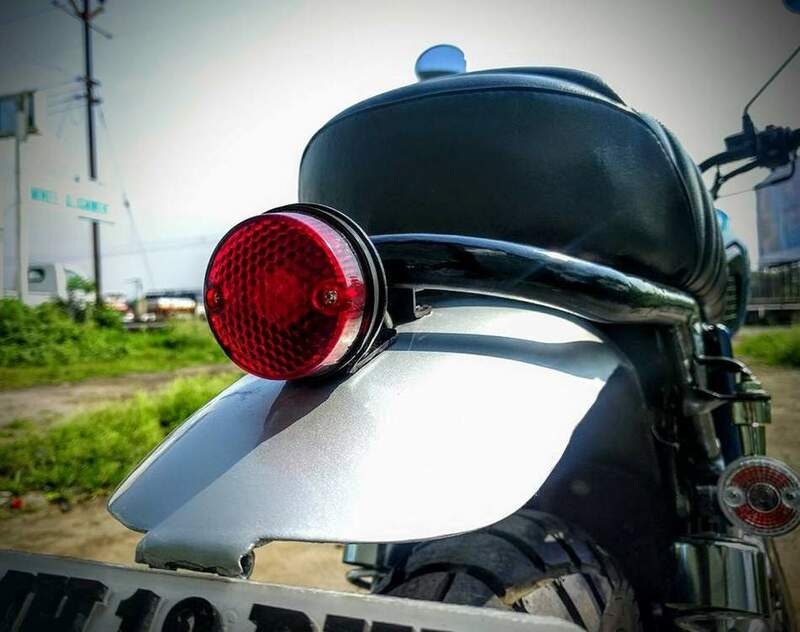 The fuel tank used here adds 20 percent more fuel capacity, extending the driving range of the motorcycle while its handlebars and foot pegs have been positioned for utmost comfort while riding. 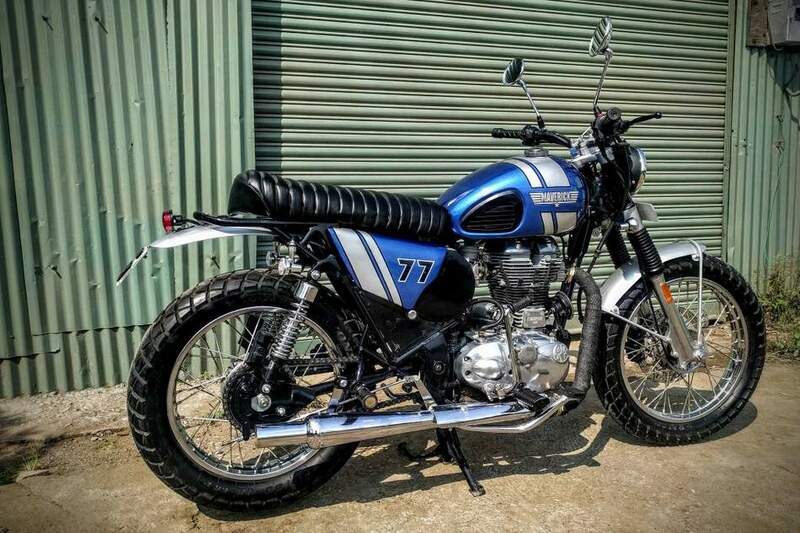 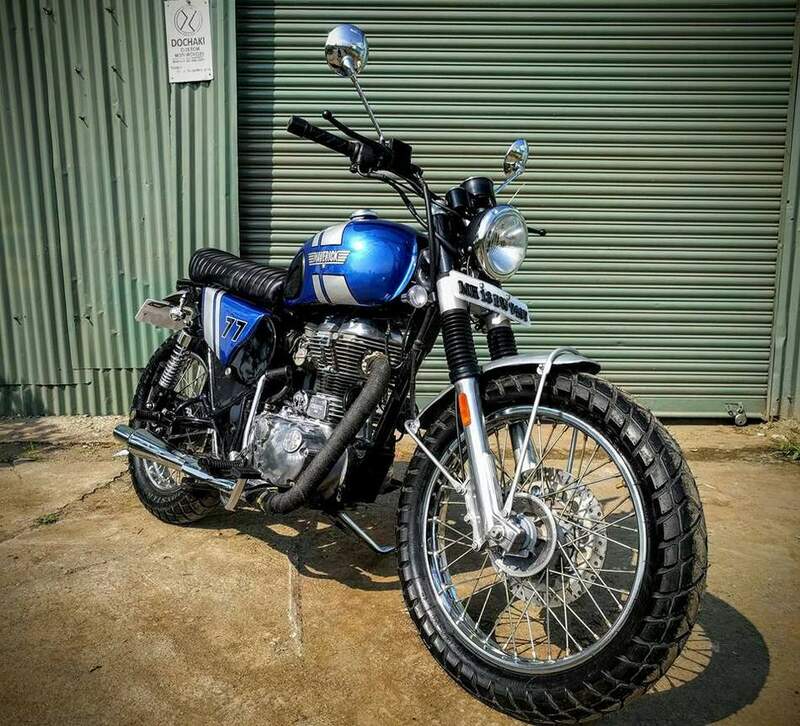 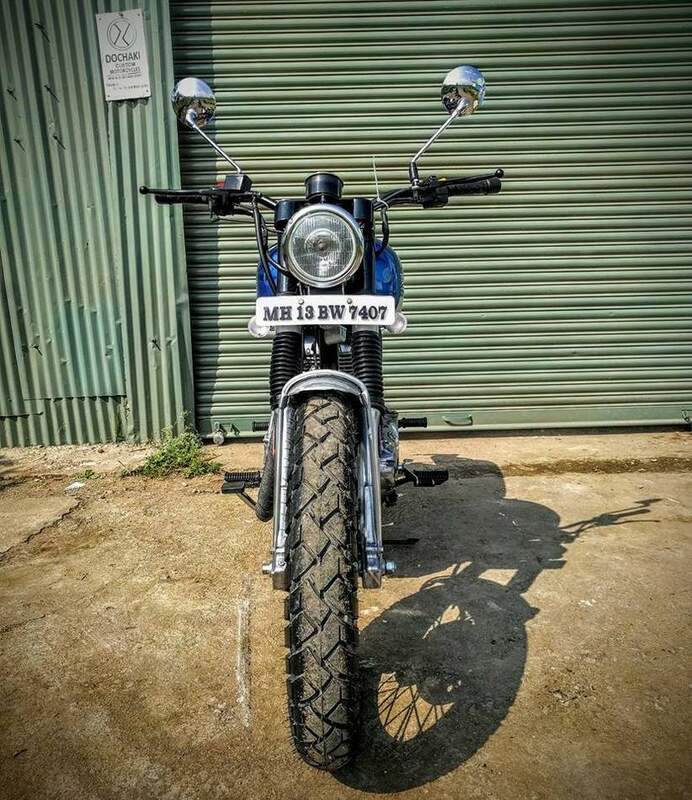 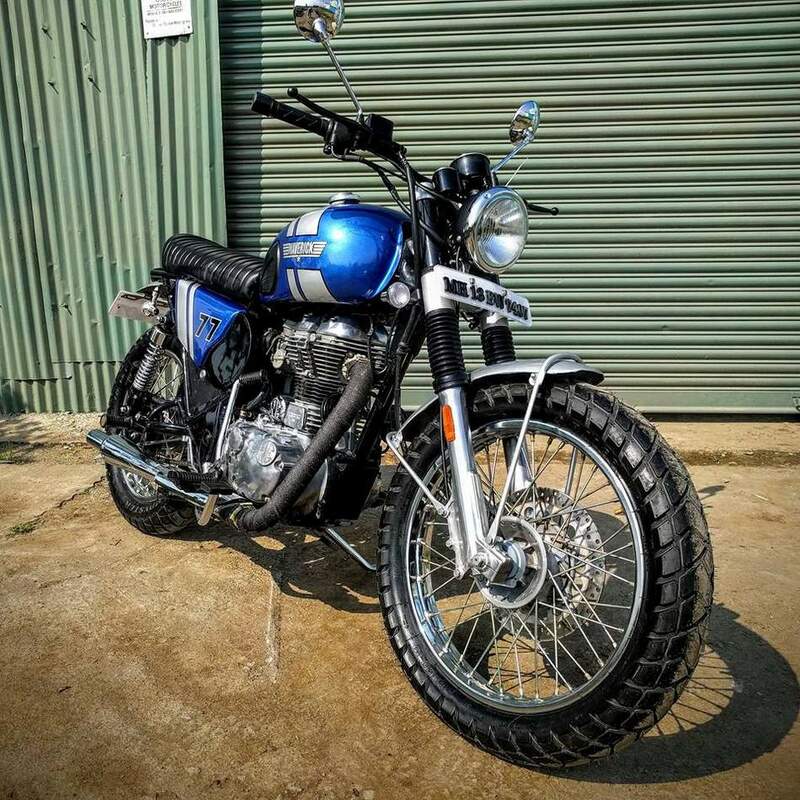 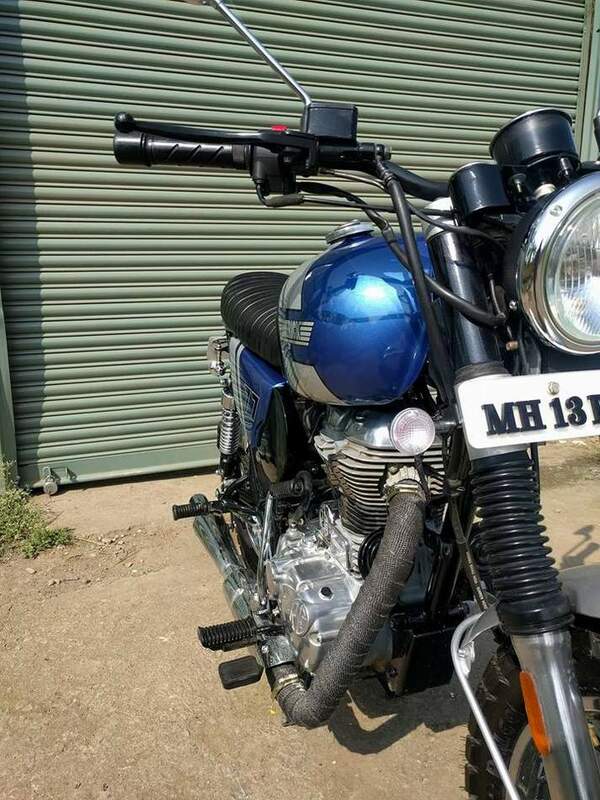 The front and rear has been equally chopped and the motorcycle lost a lot of weight by getting ride of those heavy front and rear fenders of the Royal Enfield. 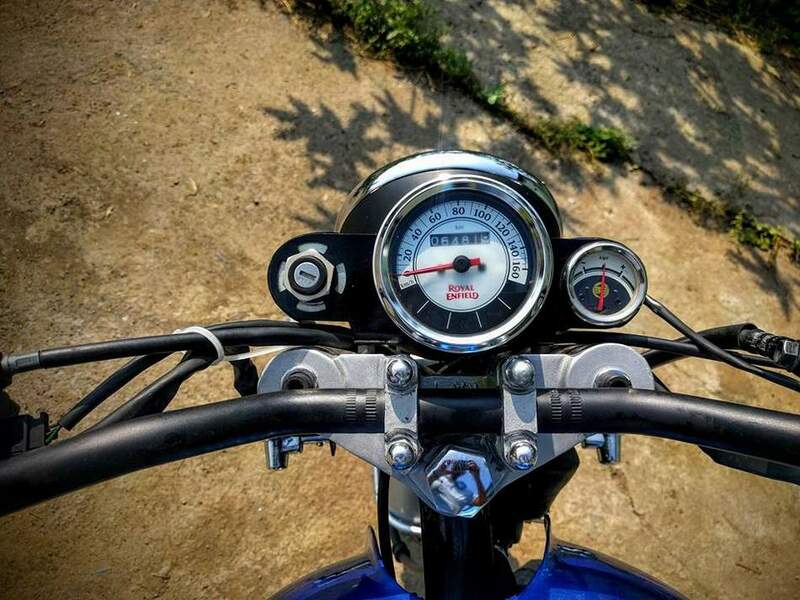 The instrument console, however, stays the same as Classic 350 but has been fitted on a different unit instead of the old round frame of RE. 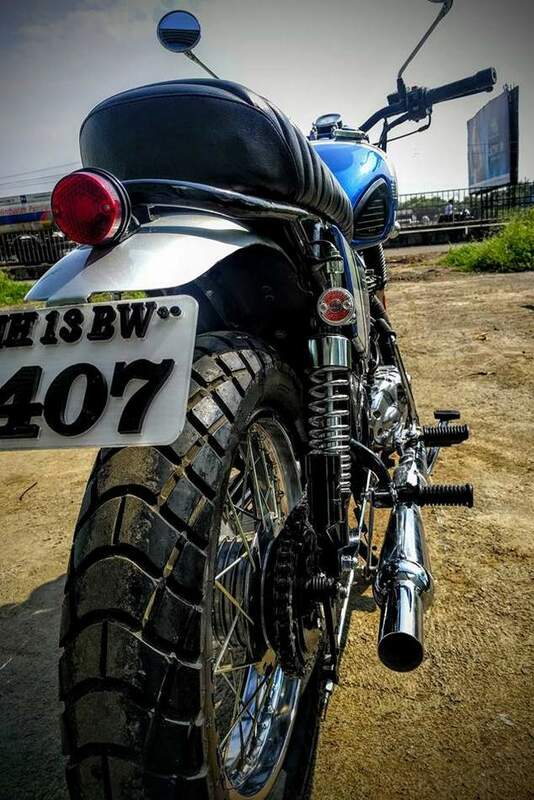 The ribbed seat has been finished in faux leather. 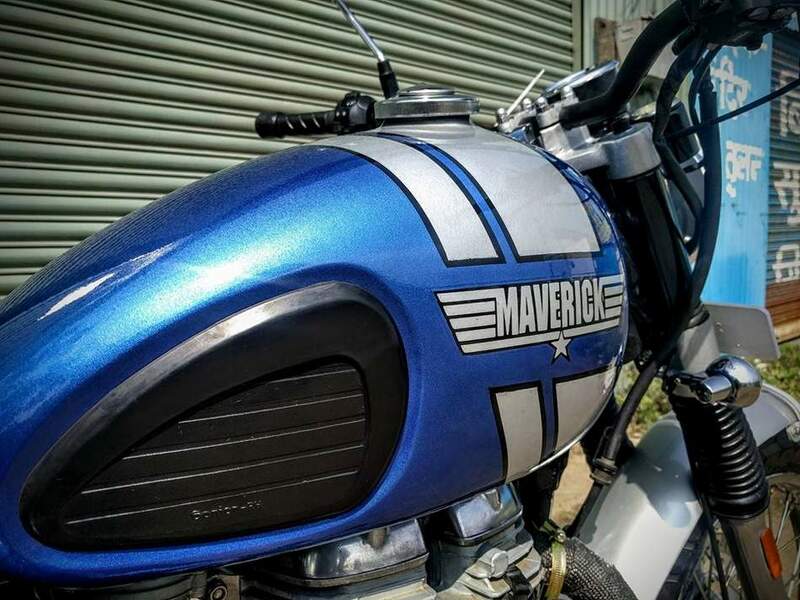 The owner asked for ‘Top Gun’ style paint scheme and Maverick fulfills the promise with its three layer paint job. 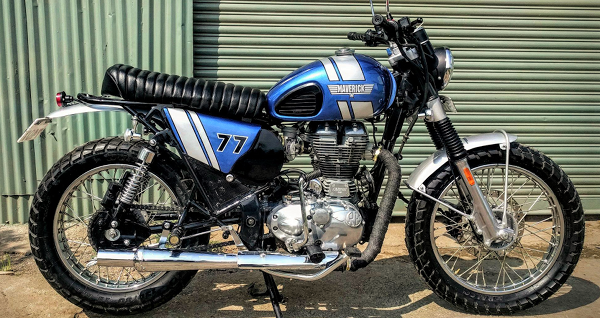 The custom exhaust adds more fun to the torque rich 346cc engine of this custom Classic 350 motorcycle.